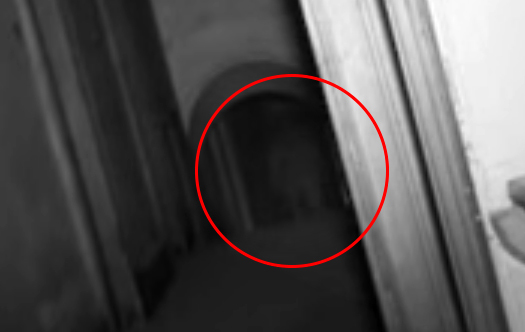 Most Haunted has caught their first ever ghost on camera – after fifteen years of aimlessly running around in the dark. For those of you unfamiliar with the TV phenomenon Most Haunted, it’s a British show where highly suggestible people spend a night in an old house and get terribly excited at the slightest unusual noise. It’s like Ghostbusters ‘the teenage years’ where everyone is very excitable but they haven’t really got a budget yet. However, for reasons that aren’t entirely clear, after fifteen years of trying (yes fifteen years) they’ve never actually filmed a ghost. Until now. The Most Haunted team were spending a spooky evening in Wentworth Woodhouse stable block near Rotherham, South Yorkshire, that was built in 1630 by Thomas Wentworth, the first Earl of Strafford. I for one am now completely convinced that the afterlife is totally a real thing. I’m going to cancel my gym subscription and take up roller-derby. Was it the presence of the spirit of a long dead soul, a doppelganger, Stone Tape Replay or something else we are never supposed to understand? I don’t know Yvette, I thought you were supposed to be the expert. You can watch Most Haunted on Friday night’s on Really.